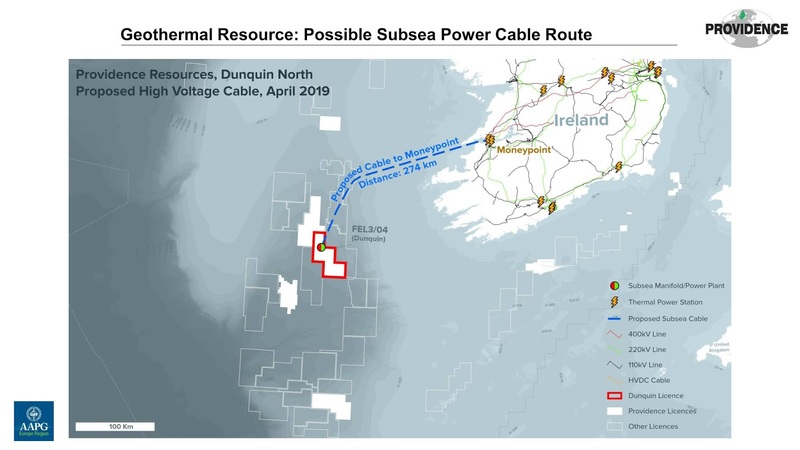 Providence Resources P.L.C., the Irish based energy company, today provided a technical update regarding its ongoing geothermal resource assessment of the Dunquin North Lower Cretaceous carbonate build-up. Dunquin North is situated in Frontier Exploration Licence (FEL) 3/04 in the southern Porcupine Basin, offshore Ireland. Providence’s Technical Director, Dr. John O’Sullivan, presented a paper on the company’s latest assessment of Dunquin North’s geothermal resource potential at the American Association of Petroleum Geologist’s (AAPG) 3rd Hydrocarbon Geothermal Crossover Workshop in Geneva this afternoon. 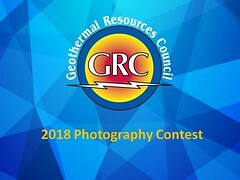 Thursday, February 14, 2019 - Republic of Ireland: Porcupine Basin "a Potentially Significant Geothermal Resource"